The giant robots vs. giant monsters spectacle of the summer has finally arrived. Director Guillermo del Toro, someone who’s built up a great deal of street cred with consumers of science-fiction/fantasy (see Pan’s Labyrinth, Hellboy), has also long been a fan of both the mecha and kaiju genres (I was more a devotee of the former as a kid — Tranzor Z, baby). As such, Pacific Rim is one of the biggest vanity projects around, but it has one major thing going for it: despite it’s roots in material long honed in anime and by men in rubber suits, it’s original. In a summer whose big releases have been an Iron Man sequel, a Star Trek sequel to a Star Trek reboot, a Superman do-over and a Lone Ranger bomb, this is refreshing, a mark on the plus side of the ledger even before the lights go down and the film unspools. As has been the pattern with the bulk of the movies released over the last couple of months, Rim is a decidedly mixed bag. While the action is at times wonderfully realized, bringing to life all the ridiculous Iron Giant vs. Cloverfield fanfic you could possibly conceive, the plot is a cliché-riddled bore. Yes, once again the filmed script appears to be a first draft written by teenagers, and it isn’t helped by several hammy, over the top performances that make you hope city-stomping monsters will come along and swallow characters whole. It’s a shame that a number of talented actors’ skills are limited with the blunt tools at their disposal, and it’s also a shame that the silly script even undermines some of the ungodly fun in the enormously scaled battles. There’s a fine line between light and airy and dumb, and this movie goes over it. Pacific Rim isn’t bad. It’s not great. Those not offended by mindlessness will no doubt find much to love, while those not checking their brains at the door will have to grit their teeth through long stretches. That’s the long and the short of it. Click over to the next page if you want some more specific thoughts on the film, as well as a rating. Some very, very small spoilers lurk there. ← Climb into the warm embrace of your Marvel slumber bag. You know you want to. I predict that Pacific Rim will be a bigger hit than Tranzor Z ever was, and make kajiu and mecha more popular than it used to be. As for your put-down of the other things, I hate to break it to you, but there is NOTHING new under the sun. 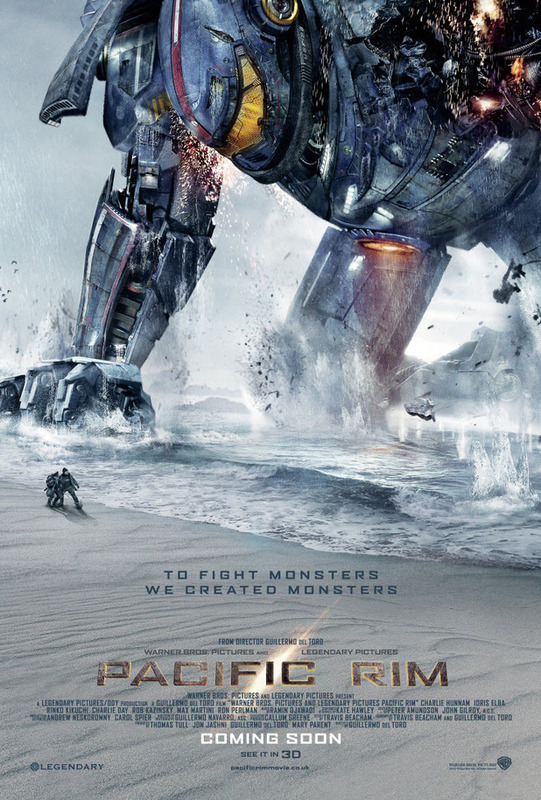 Well, no kidding that Pacific Rim will be bigger than Tranzor Z ever was. I don’t think I said otherwise. This isn’t exactly a Nostradamus-like prediction. Good luck getting Vegas odds on it. I can only write about a movie what I feel. Rim is solid action surrounded by a plodding, obvious story. I have a feeling professional reviewers have been so bludgeoned by stupid they’re numb to it at this point, but if the herd gives comfort to those desperate for a film to succeed, then so be it. What other things did I put down?